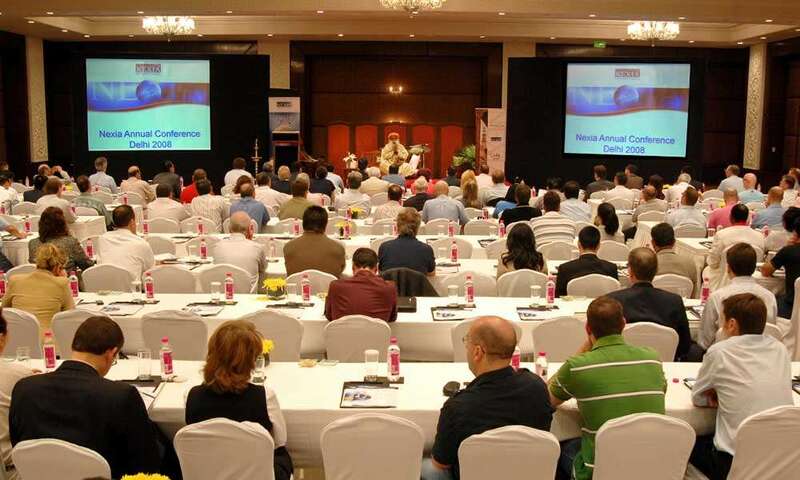 The Annual Conference of Nexia International, one of the major global accounting networks, had an unusual spiritual start with the inaugural address by Sadhguru. 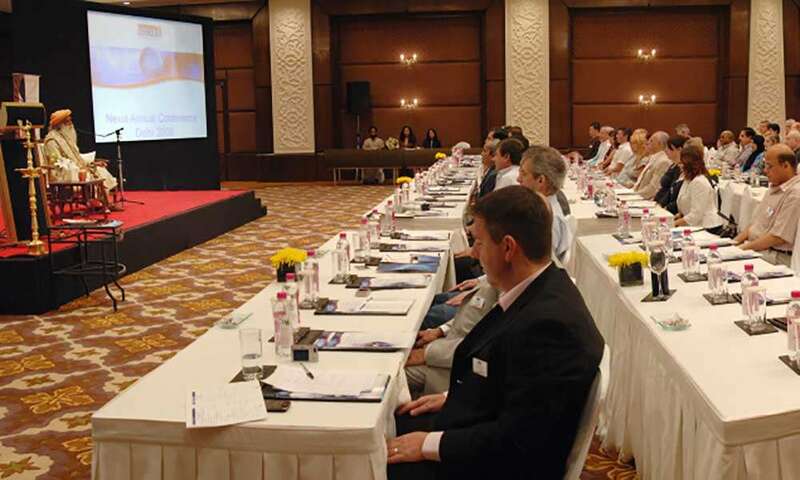 280 Presidents, Directors, chartered accountants and lawyers of Nexia from around the world converged at the Taj Palace, New Delhi, between 15 and 18 October 2008. 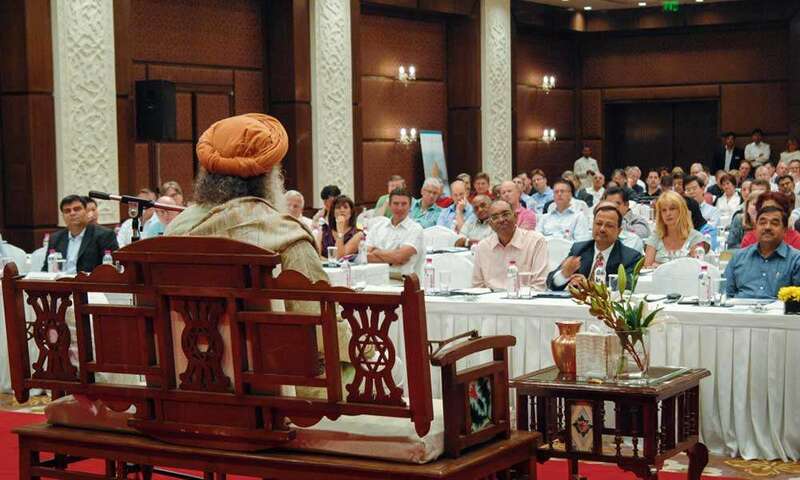 Sadhguru brilliantly thawed this challenging audience, otherwise skeptics by profession, with his unbeatable pragmatism. He called attention to the fact that fundamentally, the common business of everyone is human well-being. Our inner situation is in turmoil when there is turmoil on the outside because we live in compulsive reaction to outside situations, he explained. He went on to outline the possibilities of enhancing one's performance and efficiency by taking charge of one's inner situation through the yogic sciences. While many of them warmed up to his wit and wisdom, there were a few who expressed their doubts as to how one can be happy when our decisions affect the weal and woe of large numbers of people. Sadhguru stated that everyone has only a stake in what happens outside; but what's happening within us is our own dream and we can make it happen the way we want it. He said that our fundamental responsibility is to keep ourselves joyful because a joyful person naturally does the best for others as well. We do not need people with good intentions; we need people with a sense of balance, he pointed out. Many thronged him after his talk, intrigued by his insights. 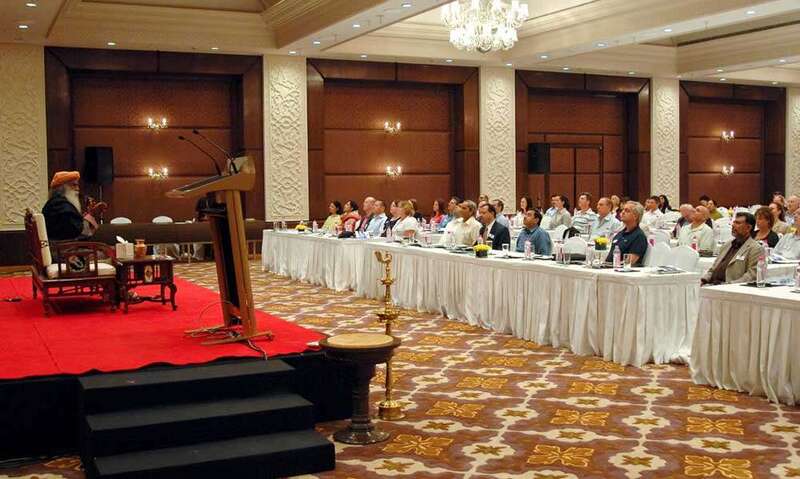 In view of the extremely favorable response, the organizers awarded the audience an unscheduled meditation session with Sadhguru. Sadhguru stated that everyone has only a stake in what happens outside; but what’s happening within us is our own dream and we can make it happen the way we want it.